At Law of Attraction Coaching, our goal is to provide you with the mindset, skill sets, and resources to reach your full potential. In our opinion, mindset is the most important and vital area of focus, but at the end of the day everyone wants to make more money. Recently, we were turned on to an opportunity to get in on the ground level of what we believe is the next big thing in internet marketing called SmashFund. 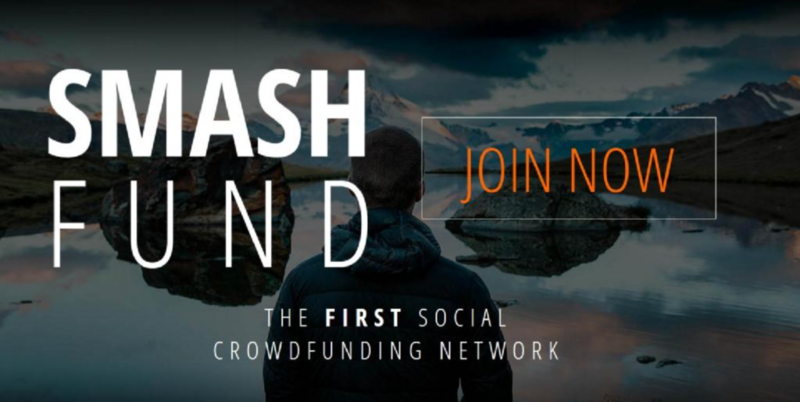 SmashFund is part crowdfunding platform, part social network, and part online money making opportunity. Essentially, this platform will allow users to create a profile and crowdsource funds for any project, business, or cause they desire. Similar to systems like Go Fund Me, Kickstarter, or Indegogo, members can create an account to solicit small donations from large amounts of people. SmashFund is unique in the fact that it also doubles as a social network and a revenue sharing opportunity. During this recent interview, CEO Rob Towles has described SmashFund as a “disruptive technology” in the crowdfunding space. In the last few years we have seen many other technologies emerge that have disrupted the current order, and forever changed the way our society operates. Technologies like Airbnb, Uber, and Groupon have changed the way people travel, move around, and do business. Whenever a disruptive technology is introduced you will see a certain amount of resistance, primarily from people who stand to loose money from the advent of a new way of doing things. Take Airbnb for example, this system allows users to find accommodations around the world for a fraction of the price of a hotel. No longer do hotel chains have a monopoly on room nights, instead, anyone with a house can be a hotel operator for the evening. Naturally, resistance and pushback is expected in the hotel community and with anyone else who stands to lose money. Cities and taxing jurisdictions have complained and pushed back for not receiving their appropriate share of taxes. Legislators have attempted to move in and block Airbnb from certain areas, but in the end, their efforts will be futile. Even if they are successful at shutting down Airbnb in certain cities, new systems and technologies will pop up and fill the gap. At the end of the day, as technology evolves, entire industries will be changed forever and there’s no way to stop this, as a society we can only adapt. Is SmashFund the next big thing in the crowdfunding space? At this point, there’s no way to say for sure, but it definitely has all the makings of a winning company. I have been watching the growth of Smash Fund over the last few months and have already seen internet marketing influencers and other big players take interest. The official launch date of SmashFund is set for July 1st, 2016. On that day, the full platform will be released and users will be able to create profiles and start receiving their distribution payments.